Every year companies try to come with the perfect flagship devices for the customers. However, there is a large population who wants to have their hands on the performance and specifications of a good phone without putting in a lot of money. This is where a lot of mid-range devices come in the picture. In the previous years, India has seen a lot of mid-range devices around the price point of Rs 20,000. Therefore, it becomes necessary that customers make a right choice about the smartphone which they are about to buy. In this detailed list, we feature the top five phones available in April 2018 which offer the best configuration and come around the price of Rs 25,000. The Nokia 7 Plus is a very recent device which was launched in the country only days ago. In fact, the device hasn’t even started selling and touches the stores on April 30. 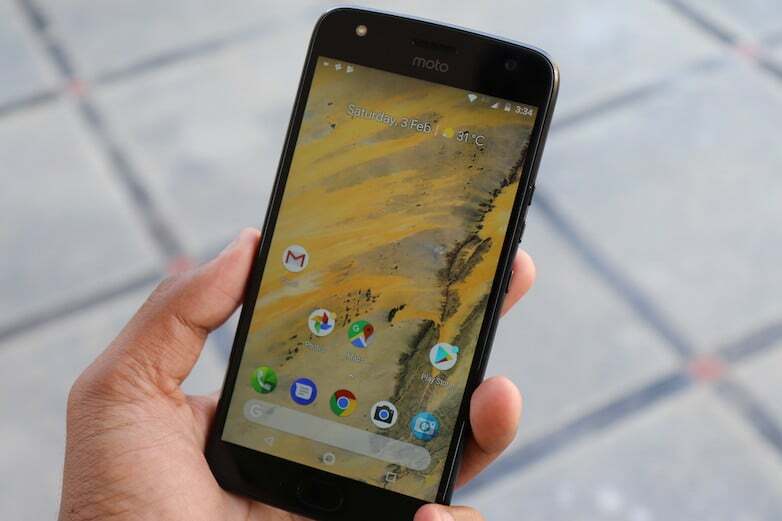 The phone which has been very praised and acclaimed by HMD Global ships with Android Oreo out of the box and also falls under the Android One program which makes it eligible for the latest Android updates and monthly security patches. Speaking of the processor, the Nokia 7 Plus packs a Qualcomm Snapdragon 660 SoC with 8 Kyro 260 cores accompanied by 4GB RAM and 64GB storage which can be bumped up to 256GB using a Micro SD card. The display is a 6-inch 18:9 Full HD+ display (2160 x 1080 pixels) and comes with Corning Gorilla Glass 3 for protection. On the Imaging front, the Nokia 7 Plus sports a 12MP+13MP dual camera setup on the rear with f/1.75 aperture and f/2.6 aperture. On the front, Nokia has provided the users with a 16MP camera for selfies. 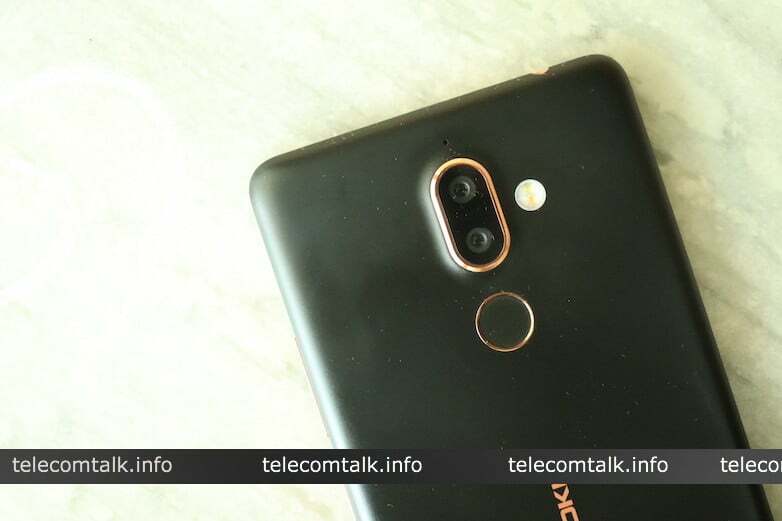 It is noteworthy that all the lenses on the Nokia 7 Plus are from Zeiss Optics. The phone also packs a 3800mAh battery which lasts through the day easily. The Nokia 7 Plus is set to debut with the price tag of Rs 25,999. However, Airtel does offer a cashback to the buyers of the phone of Rs 2,000 which brings down the price of the phone to Rs 23,999. The phone which comes with a 6.3-inch Full HD+ (2280 x 1080 pixels) IPS display makes its entry into the market at Rs 22,990. The Vivo V9 does a great job at implementing the iPhone X like notch in the handset. The phone has an impressive display of 400 PPI. The notch although is the highlight of the phone but remains smaller than the one on the iPhone X. Speaking of processing power, the Vivo V9 is powered by Qualcomm’s Snapdragon 626 chipset which is accompanied by Adreno 506 GPU. On the imaging front, the phone performs great while sporting a 16MP+5MP dual camera setup which is put vertically on the rear side. The front camera which is equipped with AI Face Beauty feature and AR stickers is a 24MP sensor. 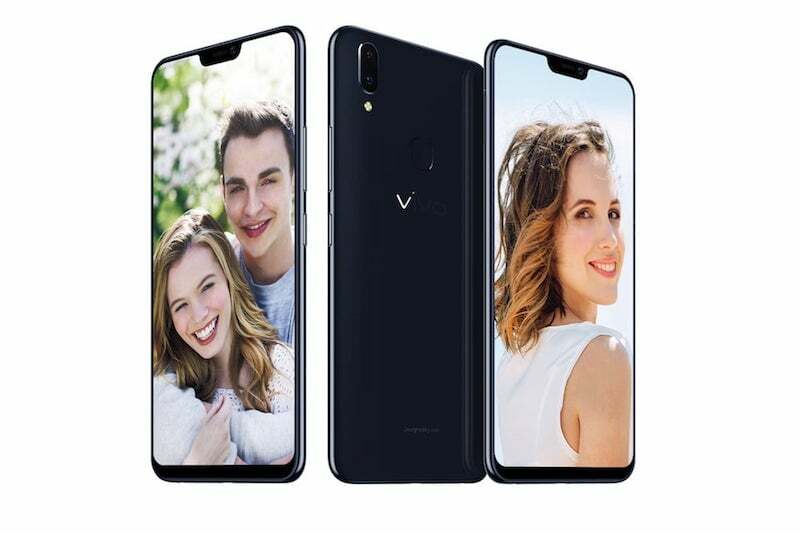 On the software front, the Vivo V9 comes with FunTouch OS 4.0 based on Android 8.1 Oreo and also has support for Face unlock and HDR support. The phone comes with a 4GB RAM and 64GB inbuilt storage which is expandable to 256GB via MicroSD card. Vivo V9 packs a decent 3260mAh battery to help it last through the day. Motorola captured the budget segment pretty quickly by launching the Moto G and Moto E series. After that, the Lenovo owned brand soon capitalised on the opportunity of the mid-range segment. 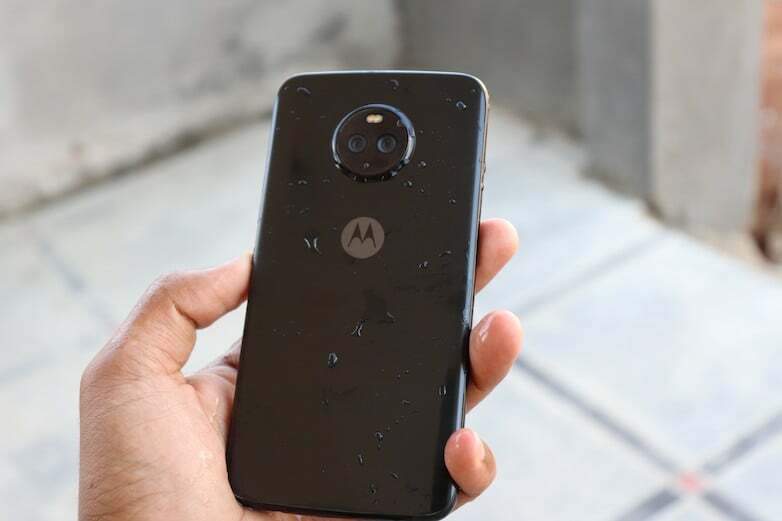 Last year Moto introduced the Moto X4 which started at the price range of Rs. 20,999 for the 3GB variant and Rs 24,999 for the 6GB variant. There is also a third variant of Rs 22,999 which has 4GB RAM. The Moto X4 fashions a 5.2-inch Full HD LTPS IPS display with 1920 x 1280 pixels resolution along with a very sturdy build quality and a pretty dated design. There is a dual camera setup of 12MP+8MP. The primary sensor on the phone has f/2.0 aperture, 1.4-micron pixel size while the secondary lens has a f/2.2 aperture and a 120-degree field of view. On the front, the Moto X4 sports a 16MP selfie shooter. The Moto X4 also packs a stock Android experience and has already received the Android Oreo update last December. Also, the phone is driven by a Qualcomm’s Snapdragon 630 SoC which makes it a good performer in this price range. Besides that, the Moto X4 comes with a sufficient 3000mAh battery to last through the entire day. The Honor 8 Pro is almost a 10-month-old phone given that Huawei launched the phone in July last year. The phone is being driven by the in-house processor by Honor, the HiSilicon Kirin 960 which is being accompanied with Mali-G71 MP8 GPU for graphics. The phone proudly sports a 5.7-inch Quad HD (2560 x 1440 pixels) IPS LCD display with Corning Gorilla glass 3 and 2.5D curved glass. The fingerprint sensor has been given in the middle of the rear portion, under the horizontally mounted dual camera setup of 12MP each. 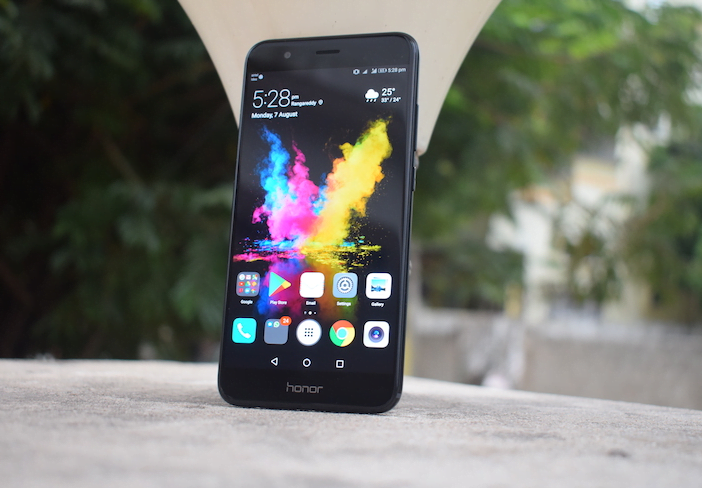 As for the software, the Honor 8 Pro runs EMUI 5.1 which was initially built on top of Android Nougat, but in February this year, the phone has received the Android Oreo update. The phone which was introduced at the price of Rs. 29,999 to give a tough competition to OnePlus 5T is now selling online for Rs. 22,999. Given that the phone packs an enormous 4,000mAh battery and 128GB storage along with the features we listed above, makes this one a steal deal. 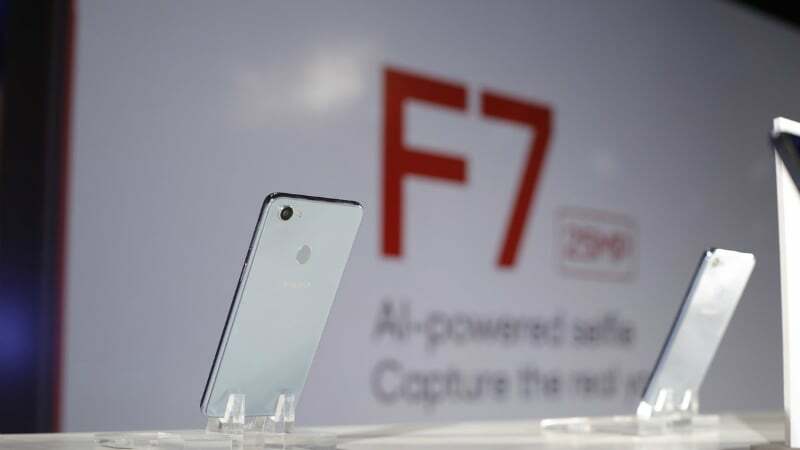 This year in March, BBK Electronics owned brand Oppo unveiled their flagship phone, the Oppo F7 which is priced at Rs 21,990. The phone sports a 6.23-inch screen with 2280 x 1080 pixels resolution which is a Full HD+ display. The display also comes protected with Corning Gorilla 5. On the processing front, the Oppo F7 packs an MTK P60 Octa Core 2.0GHz processor which coupled with a 4GB RAM and 64GB internal storage which can be further expanded to 256GB using a microSD card. On the imaging front, the camera lacks a dual camera setup and comes with a 16MP rear camera and a 25MP front-facing selfie camera. The Oppo F7, however, does comes with Android 8.1 out of the box due to its recent release. The phone is powered by the 3400mAh battery.